Cardamom are the aromatic green pods of the species Elettaria cardamomum, used as a spice. Each pod contains 15-20 seeds. The pods are usually bleached white to make them more appealing. Two types of cardamom are used as a spice. The green cardamom (Elettaria cardamomum), which is the true cardamom and is is a native of India, Pakistan, Nepal, and Bhutan and the black cardamom which comes from two closely related species, Amomum costatum and Amomum subulatum. 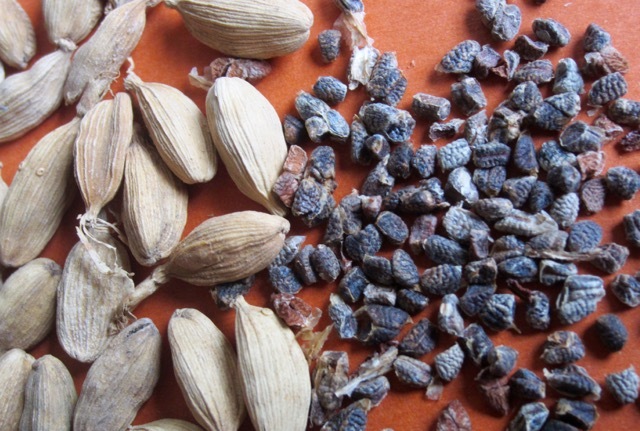 The black cardamom is mainly distributed in Asia and Australia. Both the green and black cardamom belong to the ginger family (zingerberaceae). This article is about the true cardamom (Elettaria cardamomum). 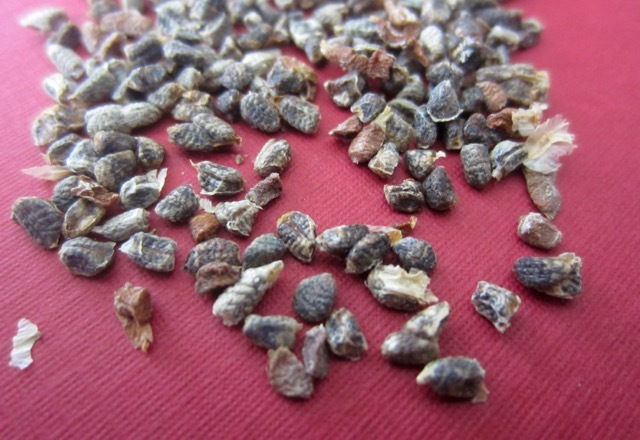 Guatemala is the largest producer and exporter of the true cardamom. Cardamom is the third most expensive spice, after saffron and vanilla. The part of the plant used is the fruit (pods), which can be used whole or ground. The pods are usually green in colour but they are mostly bleached and sold white as seen in the picture. Each cardamom fruit (pod) contains 15-20 small black seeds which are used as a spice, in whole or crushed form. They can also be used as an ingredient in spice mixtures. 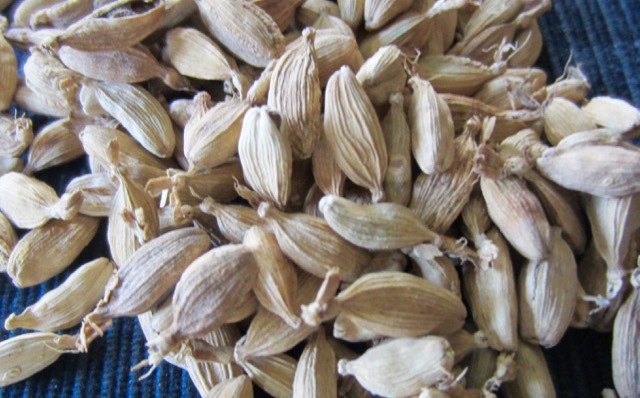 Cardamom seeds have a strong aroma and should be used sparingly. The seeds can also be ground into cardamom powder. Pure ground cardamom can be bought in stores. 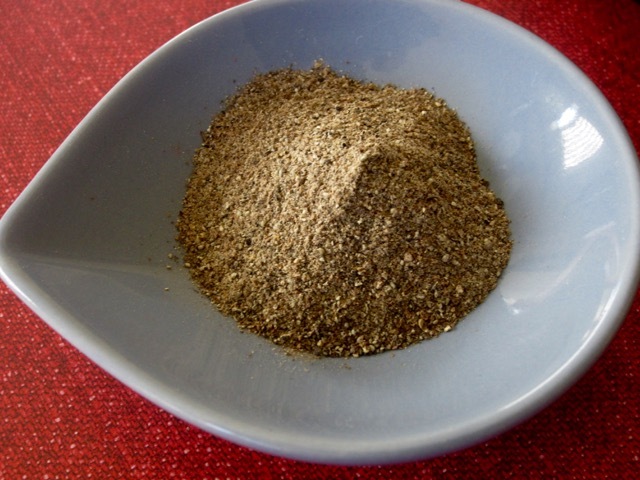 The ground spice has a strong, intense flavour so should be used sparingly. 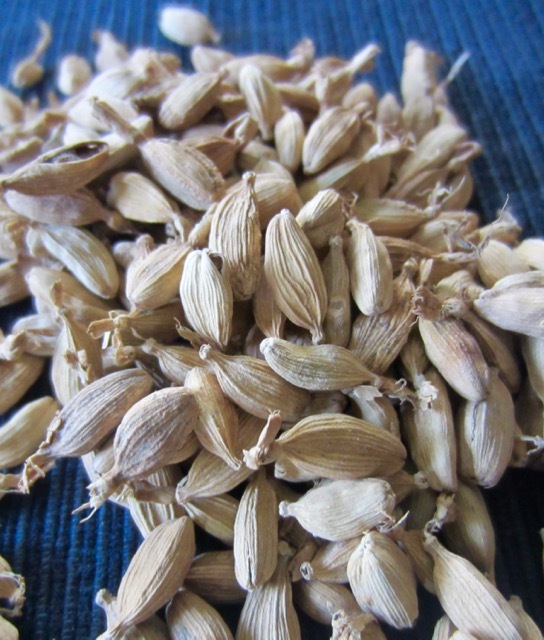 Flavour: cardamom has a unique taste, with an intensely aromatic, resinous fragrance. Cardamom is a herbaceous plant 2-5.5m tall, that grows in thick clumps, with up to 1.2 m long leaves arising from the rootstock. Flowers grow on long inflorescences of up to 1.2 m long, are 40 x 17 mm and are white with violet streaks radiating from the centre. The dried fruits (pods) are used as a spice, masticatory (a substance chewed to increase saliva) and in traditional medicine. Cardamom is used whole or ground in savoury and sweet dishes, like Pilau, Indian sweets, Masala tea and meat dishes. It’s an important spice in curries. 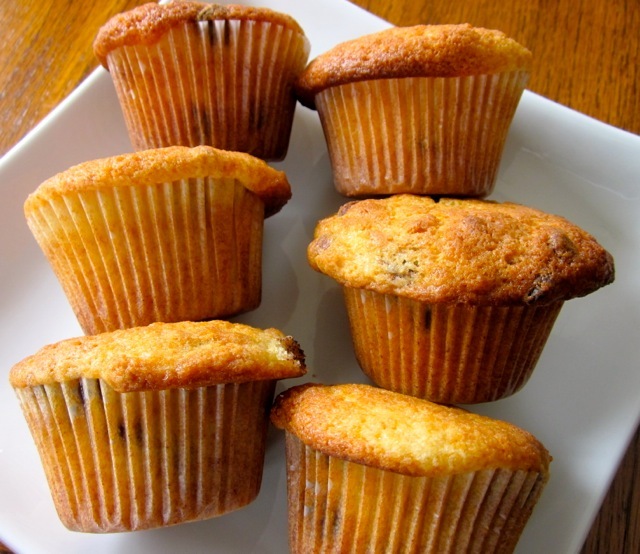 It’s also used in flavouring coffee, baked goods, like muffins traditional Swedish bread, pulla and Christmas bread Julekake, just to mention a few. 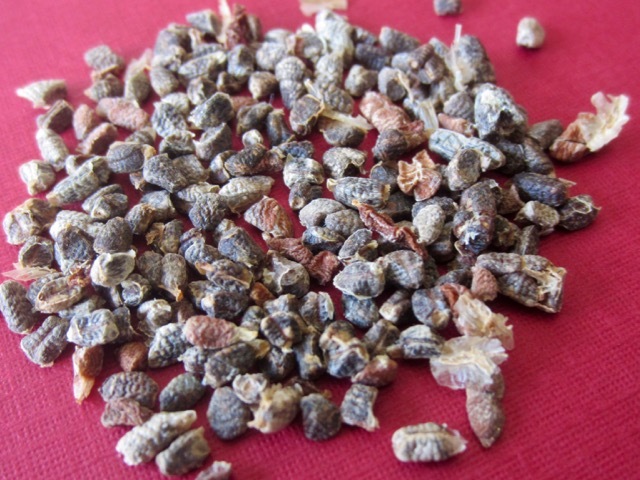 The plant yields a volatile oil used in perfumery, for flavouring liqueurs and bitters, and in preparation of tinctures. After discovering orange cardamom rolls at our favorite bakery my boys LOVE cardamom! Just made a pear cardamom butter this is a huge hit.